Of course the wife is proud of her fruit plate! 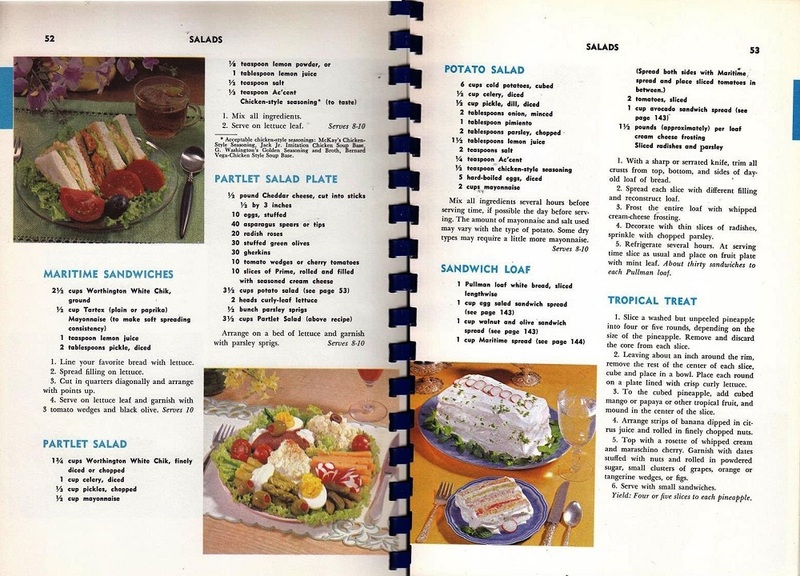 This wonderful retro cookbook hits all the foodie choices from the 1960s: Something with jello, another tasty sandwich loaf masquerading as a cake, and of course some food with eyes. The surprising new recipe that I haven’t seen before is the Cottage Cheese Croquettes. All you foodies will want to get on that right away. Your family will love it! “Recipes From Hospital Chefs”? When has “make hospital food — at home!” ever been an enticing come-on? Darn it, DJ, you beat me to it. I guess these are miracle-working recipes! 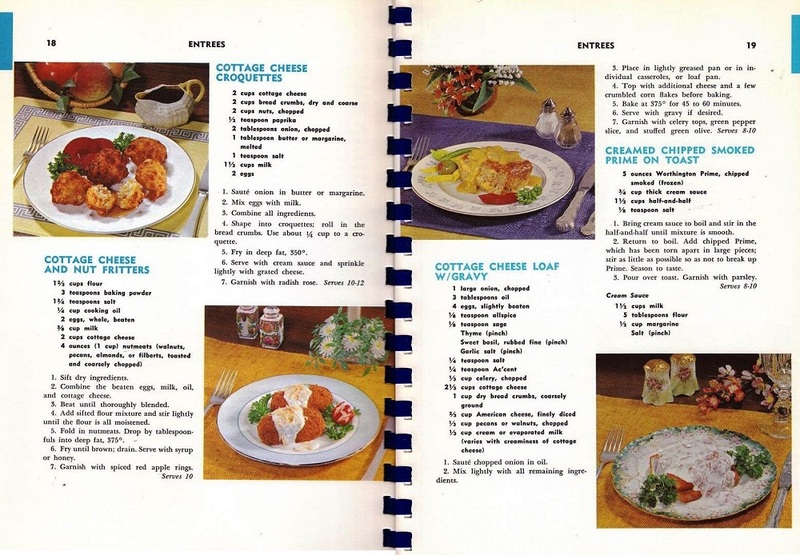 Personally I think the Cottage Cheese Loaf, with gravy, would far surpass the croquettes as a culinary delight. And what the heck is Worthington Prime? Oh yuck. I don’t eat canned meat. 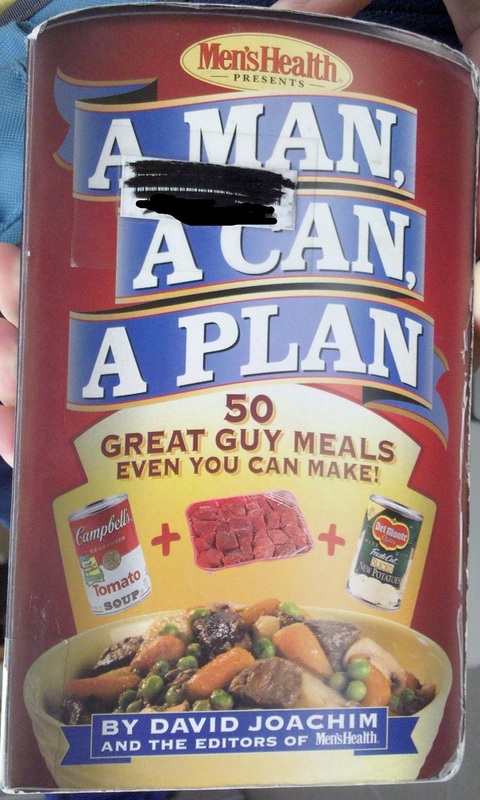 I can’t imagine eating canned fake meat. What on earth is Proteena, why is it sold in a can, and why would I slice it, cover it with dressing, and eat it? A Google search brings up a brand of sheep feed, which I’m hoping isn’t the same thing. And I never want to see the phrase “piquant balls” in a recipe again. 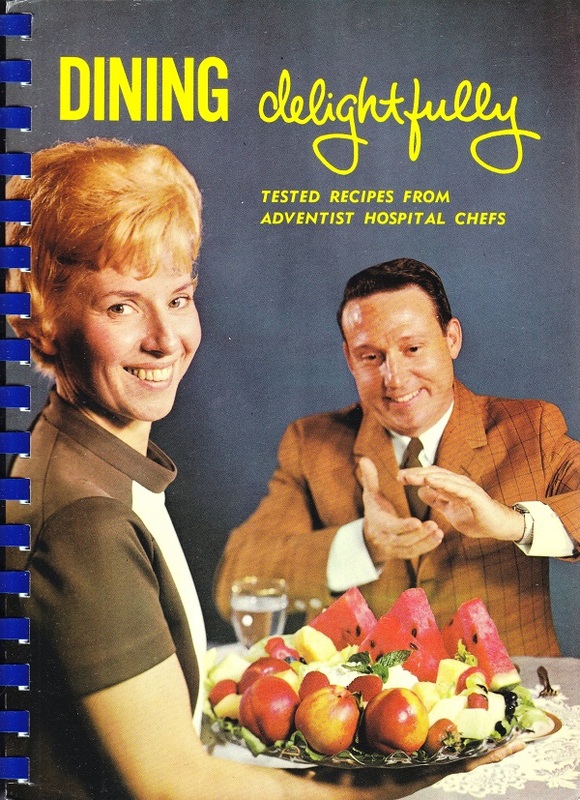 Also, I can’t tell if the man on the cover is clapping, or trying to conjure a mystical fireball from the depths of hell to hurl at that fruit plate. “Piquant Balls” belongs in a different library section. Meh, we’re having piquant balls again! 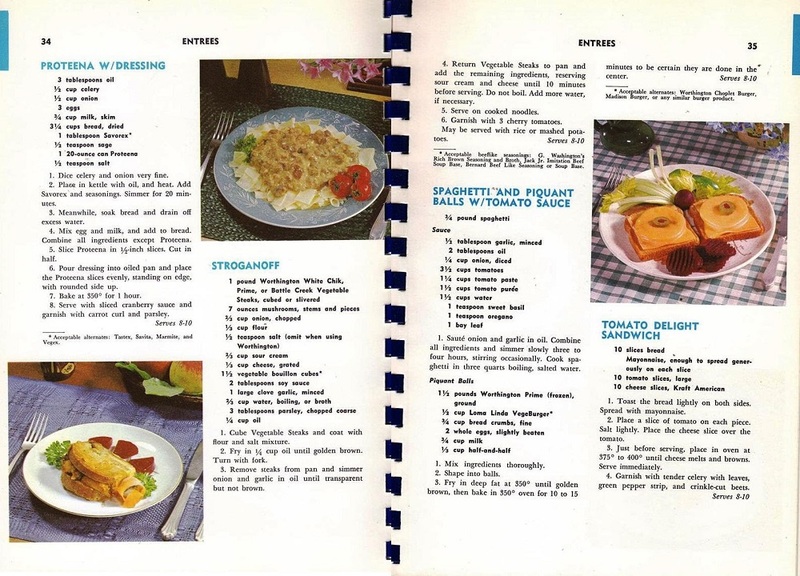 Hadn’t they ever heard of tofu or portobello mushrooms in 1968? I doubt it. 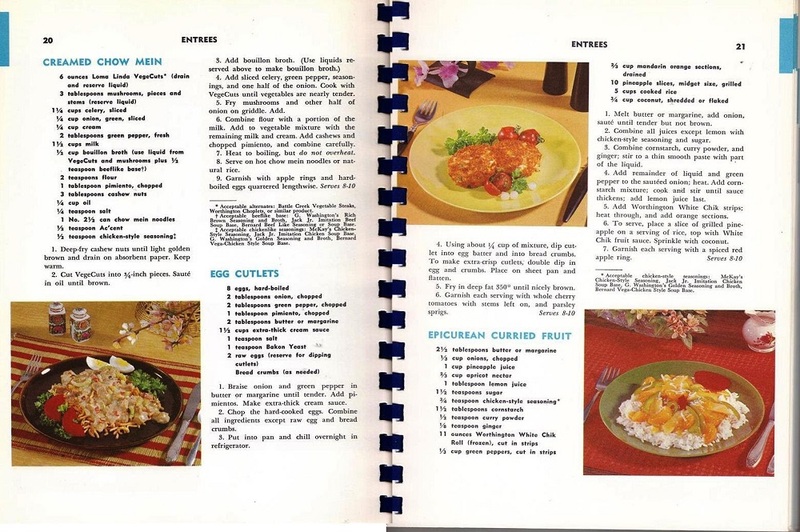 I have several 1970s vegetarian cookbooks (because I’m old) and they didn’t include either. Adventist. Meaning they’re Seventh-Day Adventist hospital cooks? That’s kind of an odd brand to push. Why aren’t the apples sliced too? Who’s going to eat a whole apple and then nibble on more fruit? I can’t stop obsessing about those apples! 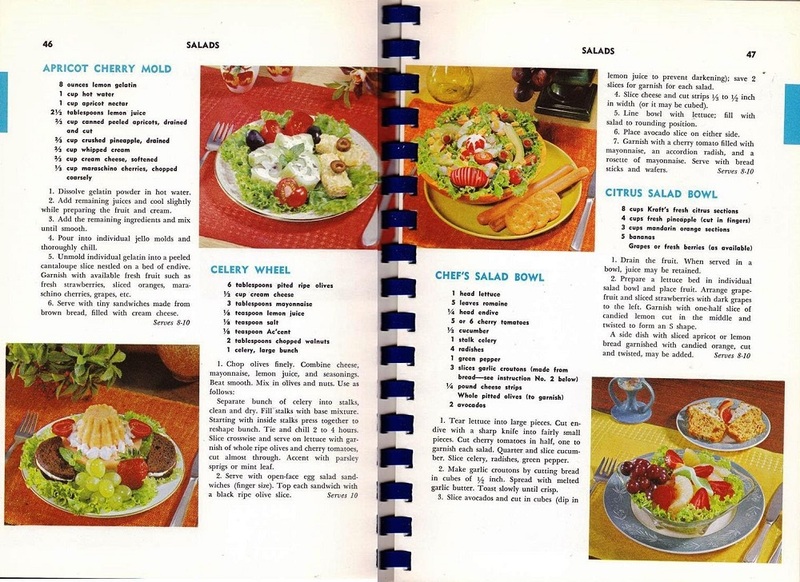 and this is why I have a collection of over 100 cookbooks from the late 60’s back. I would love to have this one!! 2. EEK! That tomato delight sandwich has eyes!!!! Who wants your lunch looking back at you??? The guy looks like he’s one of the ABC commentators from Wild World of Sports in the 60’s. Also, why would you want to make hospital food at home? Actually, I had an uncle who would specifically go to the hospital cafeteria to eat. He was reasonably wealthy, but if he invited you to lunch, you knew you were either going to the hospital cafeteria or this rundown pancake place where he would always order, of all things, a chicken stir fry. In hindsight, I think perhaps there was something not quite right about him. The Seventh Day Adventist hospital system, I think, dates back to the Battle Creek Sanitarium founded by Dr. Kellog (of cereal fame). They’re a system largely based on nutrition. Seventh Day Adventist communities are actually known for their long healthy life spans, right up their with the Japanese and certain Mediterranean that have very healthy diets. 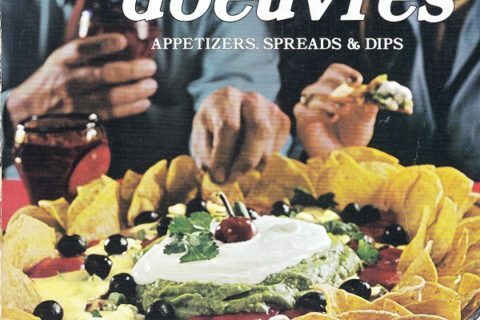 I’m not saying I personally want to eat out of that cookbook, but I bet the people who did are still around to tell you about it. My nursing school is attached to an Adventist hospital and we eat most of our meals there. It’s all vegetarian and not healthy. What the hell are proteena and savorex? they sound like medicines, not food! 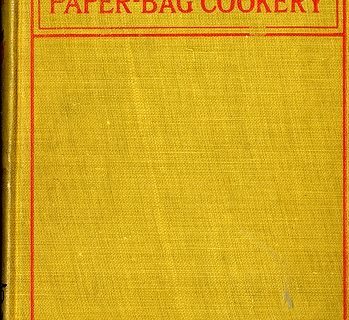 you need a recipe to make a tomato sandwich? Because I had to know what Proteena was.